After yielding two runs on three hits in the first inning on Sunday, Danny Rosenbaum delivered one of the dominant performances of the 2011 season. The lefthander allowed no more hits in seven more innings, struck out a career high 11 and led the Nationals to a 5-2 victory over the Frederick Keys in the series finale at Pfitzner Stadium. Rosenbaum (6-5) retired 22 of the last 25 hitters he faced; a walk, hit batter and an error were the only base runners he allowed. In the first inning, however, it did not look like this would be one of Rosenbaum’s finer days. Steve Bumbry led off the game with a triple and scored on Jonathan Schoop’s single. Schoop stole second base before Manny Machado struck out, and scored on Miguel Abreu’s one out single. That would be the last hit for the Keys until the ninth inning, by which point Rosenbaum’s day was done. 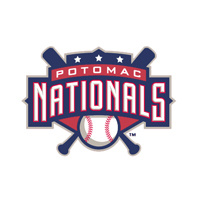 After Rosenbaum retired the Keys in order in the top of the second inning, Potomac took back the lead in the bottom half. After Steven Souza’s one-out single, Sandy Leon hit his third home run of the year, a blast to left field that tied the game. J.R. Higley then singled, and started a tailspin for Keys’ starter Nathan Moreau (10-8). Moreau walked Cutter Dykstra, hit Eury Perez and walked Francisco Soriano to push the Nationals ahead, 3-2. Rosenbaum then faced three more than the minimum over the next six innings. The Nats (50-55) padded their lead with single runs in the seventh and eighth frames. In the seventh, Leon struck again. With one out and Destin Hood at second, Leon hit a ground ball that made it 4-2. In the next inning, Hood singled home Jose Lozada, who had hit an automatic double over the wall in the left. Hector Nelo retired the Keys in the ninth for his 14th save. After an off day, the Nationals hit the road for a six-game series in Salem and Myrtle Beach. Tuesday night, Sammy Solis takes the mound at 7 P.M. in Salem.